Memphis Black Writers & Southern Film Festival Director, Lawrence Wayne, with Nickelodeon Writing Fellowship Director, Karen Kirkland after the dynamic workshop and presentation by Ms. Kirkland at the Downtown Memphis Cook Convention Center. YOUTH LITERARY & ARTISTIC SYMPOSIUM! C.C. 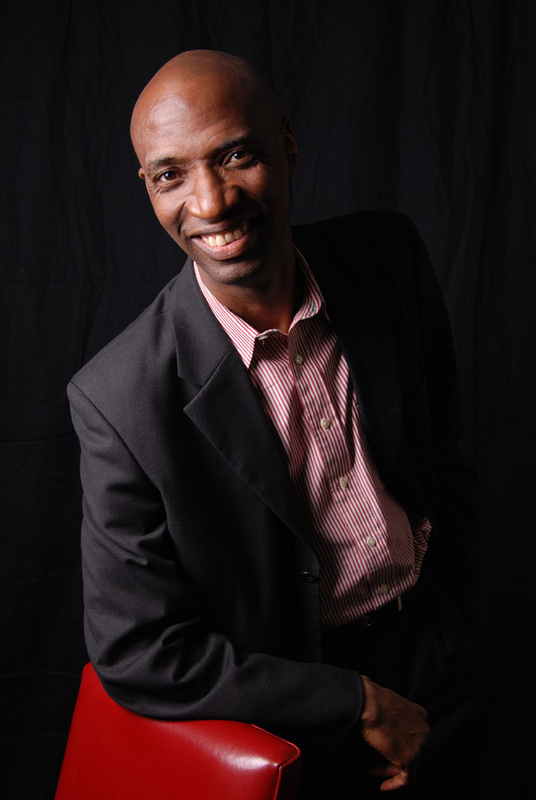 Fann is the author of Can’t Let Go. She has been an employee of Johnson State Prison in Wrightsville, Georgia for over 14 years. Despite obtaining a degree in Accounting, C.C. found satisfaction and enjoyment in writing as a contributing sports editor for the Wrightsville Headlight newspaper. She plans to complete her five books series and publish children’s books over the next 14 years. Ronald M. Gauthier was a life-long resident of New Orleans before Hurricane Katrina forced him to evacuate. Before he became a novelist, he worked as a social service counselor, an adult education instructor, and a library branch manager. Gauthier’s novels, Prey for Me: A New Orleans Mystery and Hard Time on the Bayou, are shaped by more than two decades of public service and love for his home city. His experience as an educator in Louisiana’s prisons brings a realism to his storytelling in Hard Time on the Bayou in particular, while his life in New Orleans’ African American community informs both works. Holding an MA in Counseling from Xavier University, and a MLIS from Louisiana State University, Gauthier currently resided in Atlanta where he is completing his next work based on events surrounding Hurricane Katrina and a sequel to Prey for Me. 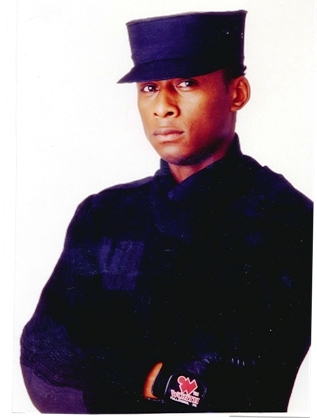 Professor Griff rose to fame as the “Minister of Information” and leader of the s1w’s (Security of The First World) for the revolutionary rap group public enemy. Formed in 1986, Public Enemy blazed a new path for rap with its intense, aggressive sound and provocative lyrics. After making three albums with Public Enemy, Griff formed his own group, Professor Griff and The Asiatic Disciples and signed to Luke (Skywalker) records. 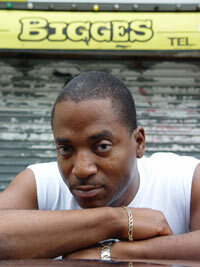 Griff wrote, produced and recorded three powerful, thought-provoking albums of beats and rhymes for the label: “Pawns In The Game” (1990), “Kaoz II Wiz-7-Dome” (1991) and “Disturb N Tha Peace” (1992). In addition, Griff successfully took his socially challenging and politically potent poetry to conferences and colleges across the country. In 1997, Griff rejoined Public Enemy to record the soundtrack album for the Spike Lee film, “He Got Game.” The album was released in 1998 to strong reviews, and the group continued their major comeback by setting out on the road with the Smokin’ Grooves Tour that summer. 1998 also marked Griff’s return to the solo arena with the release of “Blood of the Profit,” on Lethal Records. Professor Griff will conduct a Hip-Hop Workshop at the Memphis Black Writers Conference & Southern Film Festival. The workshop will be held on Friday April 25 at the Memphis Cook Convention Center. Patrick Oliver is founder of the Say It Loud! Readers and Writers Series a literary arts program dedicated to promoting reading and writing as tools of empowerment. Mr. Oliver is co-founder of the Black Male Development Symposium along with award-winning author Haki R. Madhubuti and noted sociologist Useni Eugene Perkins. Mr. Oliver serves as consultant with the Princeton University State of the Black Male Conference and the Arcadia University Black Male Development Symposium. Mr. Oliver is co-founder of the Harlem Book Fair Children’s Pavilion and coordinator for the African Festival of the Arts Book Pavilion. Mr. Oliver was Director of Sales and Marketing at Third World Press. He was also Program Director for the Institute for Positive Living Open Book Program a citywide after-school reading program in Chicago. His literary projects have been featured on CSPAN BookTV, NPR, BET, Comcast, NBC, Pacifica Radio and other major media outlets. Richard McKeown is founder & President of KoolKidz Television & Publishing LLC which to date has garnered over 40 Film Festival selections & awards! KoolKidz brings fresh, intelligent programming to today’s sophisticated children. Our mission is to instill pride & knowledge of self, particularly for children of color, with high quality programs, consisting of original music & artwork that both entertains and educates. KoolKidz Television & Publishing produces work appealing to both children and adults. We teach important life lessons with exciting characters, terrific stories and amazing music. Wormhead has been selected to receive a 2008 Parents' Choice Award. The Memphis BWC will also present Rich McKeown with the ‘2008 Memphis BWC Best Children Short Award’ for Wormhead. 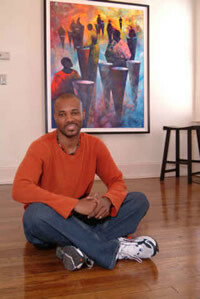 Danny Broadway earned a degree in Fine Arts from The University of Memphis where his paintings were chosen two years in a row for the Black History Month posters. He also taught art to junior high through high school students in the Memphis City School System and at the Memphis College of Art. Danny's goal is to provide youths with the same hope he found in disciplined creativity. He has traveled to Africa & Europe. Mr. Broadway also extends his artistic ability to rally support for meaningful causes in which he believes. Those causes include: The Memphis Child Advocacy Center, The American Liver Foundation, SOCKS, The American Heart Association, The March of Dimes, Friends for Life, Big Brothers and Big Sisters of Memphis. His work has been displayed nationwide in galleries as well as major art shows like the Arts EXPO in New York, and he has been named by PBS Television as the Master Artist for 5 consecutive years. Several Fortune 500 companies including FedEx, as well as Black Enterprise, Memphis Grizzlies, Memphis Redbirds and the Major Baseball League, in New York have commissioned Danny Broadway original paintings. Currently, Danny's work is known throughout the U.S. Danny Broadway currently is the 'Artist in Residence' for a well known Episcopal School in Memphis, TN. Wayne and Angela Burt are a husband and wife team. Executive Director Wayne Burt and Co-Director Angela Burt founded the Arkansas Black Independent Film Festival (ABIFF) in 2005. 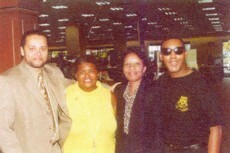 Wayne is a Black Talk radio host and Community Activist. Angela is an Events Coordinator and Entertainment Manager, in the greater Little Rock area. This dynamic duo will be on one of the film panels to discuss their film selection philosophy and develop a partnership with the Memphis BWC Southern Film Festival and other Black film festivals in the South. *LaRita Shelby, star of Stage, Screen, Radio, and TV. She starred in Oliver Stone's "South Central", directed by Steve Anderson. Her other Credits include: ER, City of Angels, Any Day Now, For Your Love, Seinfeld, Martin and The Fresh Prince of Bel-Air. LaRita stars in her latest film project, 'Walk by Faith' which will be screened at the 2007 Memphis BWC Southern Film Festival. See www.MySpace.com/RitaShelby for more information about Ms. Shelby's CD release. She has served as a hair historian and cultural consultant to various tv programs and videos including the AM/PM Show, Making a Difference, Saturday Tribune Program, and River Momma, as well as various news publications (The Philadelphia Daily News and The Philadelphia Tribune). 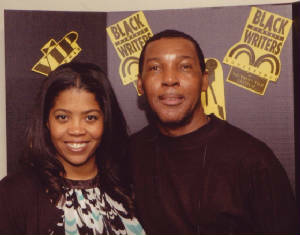 J. Lee and Alester Owens, writer and director will screen their films, 'CH Factor', 'Electric Cool' and 'Culture Shock' at the 2008 Memphis BWC Southern Film Festival.